I wanted to start something new and I think this is it. Actually, this isn’t new, at least not to me. But I’m getting ahead of myself, as I usually do. Let me explain what this thing you’re reading is. This is called a letter. It’s a foreign thing now in this world of email and blog posts but it is, indeed, a letter to all of you from me. This letter, something I’d like to do weekly or so, is just about the writing projects I’m working on. No how-to, or 3 simple ways of doing anything. This is just a letter about what is going on and how things are going, from me to you. I got the idea while I was packing up my old apartment to move to Texas. As I opened up one of my desk drawers, I saw my graduate school work, packets of work all addressed to my advisers. Each packet opened up with a letter and it read like a slice of the most intimate part of the writing process, how things are put together (or not) and how life made way for art. Advisers would also respond to students through letter. By far, those letters from my teachers, other than notes on the thesis itself, are the most cherished. It’s probably the documents I learned most from. Since I am about helping and teaching people about writing, this is what I want to do. 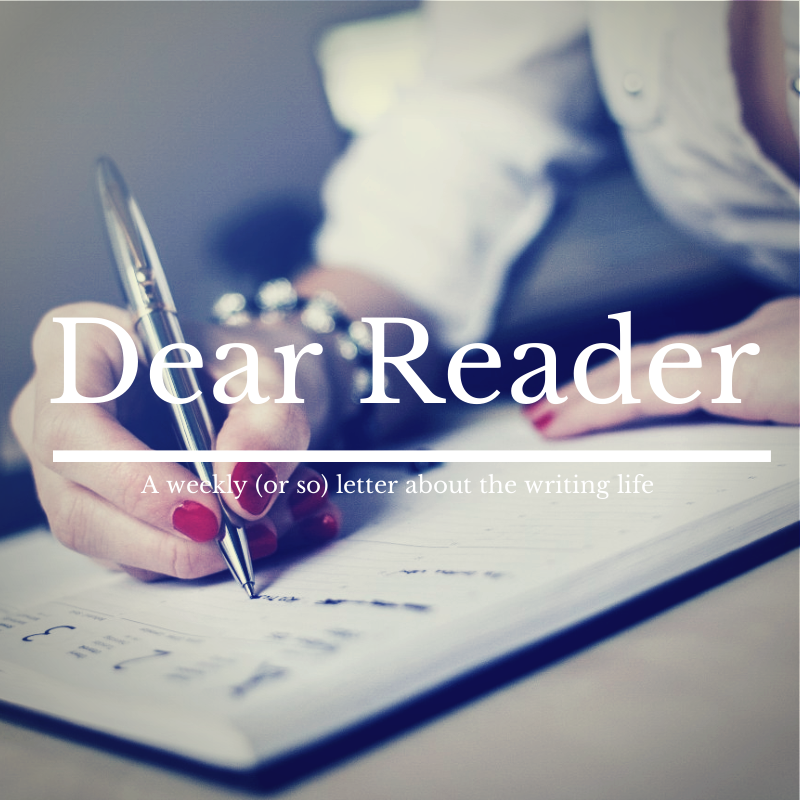 I want to write letters to you, dear reader, about my process, what I’m doing and how it’s going. I want to open up and expose that process. And if you’d like to do the same, feel free to leave your letters in the comments or even write one on your blog and send along the link. And so we start with this letter. The first. Number one. It’s the end of spring in Texas and I find myself in unfamiliar territory — a quiet space. Outside my window there are trees and singing birds. The hums of air conditioning units are like meditating mantras. I feel calm, a feeling that I haven’t experienced in a long time. I have no reason to be calm. The latest Jennie Manning story is late. Just late. Justifiably so but late is late. And yet, I’m not worried. This is an odd feeling and I’m not sure if this is conducive to work, but it is conducive to rest. Lots of good rest. Maybe that is what I need, some time to rest and replenish the well. In the move, I haven’t picked up a book and so maybe I’ll do that, do some reading to replenish the well to finally finish Jennie’s latest story. Maybe my creative process is shifting? Where before I felt this manic rush to create, I now feel this stillness to create, to wrap myself in creativity, all forms of it, and to learn from it. Is this what new scenery does? This is a new beginning and I am excited to see what comes.